Singer Nick Cannon shares his personal experience with abortion. Contains a graphic image along with a heartbreaking message. Young girl gives compelling reasons why abortion is bad for the unborn and their moms…the truth is so simple that even children can understand and articulate it. 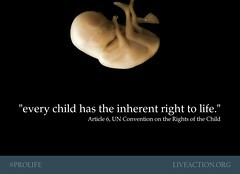 Development of the unborn child from Day One until after birth…how are these children not human? Statistics show that abortion targets African-Americans and minorities. 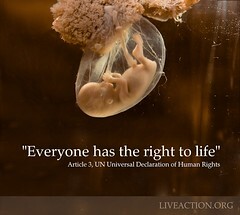 Why Personhood?? The modern reasons behind defining every human being as a person in law. Note: Amendment 48 was the 2008 Colorado Personhood Amendment, but there are similar amendments springing up around the country. 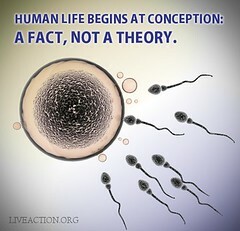 Demonstrates a clear contradiction in our logic today. 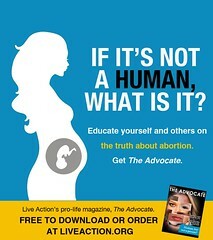 A small example of lies spun by the pro-abortion movement. Jane Roe, plaintiff in Roe v. Wade–the case that legalized abortion–speaks out on her changed beliefs.